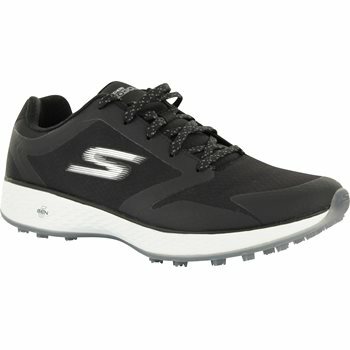 The Skechers Go Golf Spikeless Birdie golf shoe offers all of the innovative Skechers Performance technologies and materials developed from the Skechers GOwalk series. Added features include the durable TPU grip outsole, which increases traction on the course and an all-new Skechers Goga Max insole. With Skechers lightweight, responsive 5Gen cushioning and Goga Max insole, the Go Golf Birdie shoe delivers maximum comfort. Fantastic golf shoe and so comfortable. Great for walking the course! Support & comfort all in one!